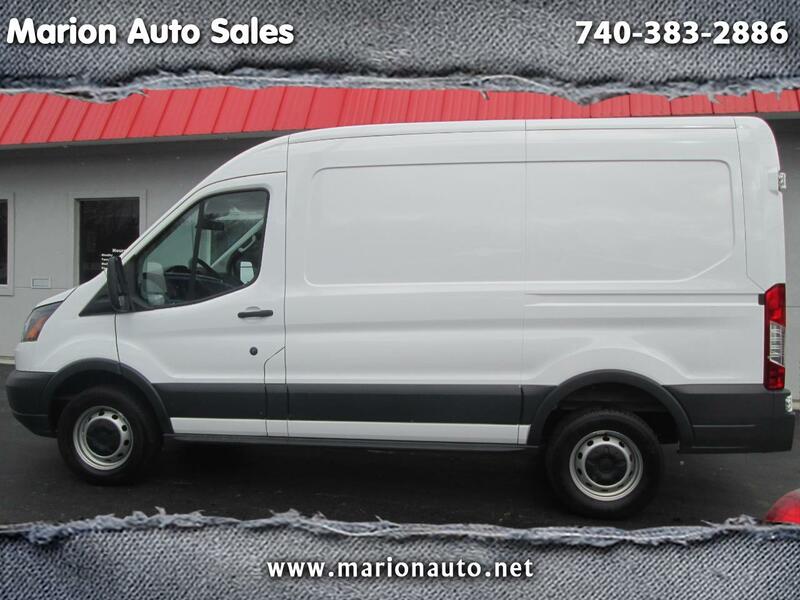 2018 FORD TRANSIT CARGO VAN PERFECT FOR CONSTRUCTION OR REMOLDING COMPANY. V-6 ENGINE WITH PLENTY OF POWER AND STILL GETS GOOD GAS MILEAGE. 1 OWNER CARFAX CERTIFIED AND FREE FACTORY WARRANTY. EXTENDED WARRANTIES AVAILABLE ON MOST VEHICLES WE SELL. EXPERIENCE MAKES THE DIFFERENCE! SO FOR THE BEST BUYS, COME SEE THE GOOD GUYS! WE HAND PICK EVERY VEHICLE OFFERED FOR SALE ON OUR LOT. For more photos and inventory, visit our website at www.marionauto.net For Your Late Model Used Cars, Trucks, and Vans! Since 1982! A Free CARFAX vehicle history report comes with every vehicle on the lot and complete servicing of vehicles we sell too. Message: Thought you might be interested in this 2018 Ford Transit Van.